Lethal to me? No so. Gideon is pulling out all the stops to defeat Bolas in the upcoming MTG War of the Spark expansion. Set to release at the end of April, it contains more planeswalkers than any expansion before it. But let’s not forget about the instant spells. 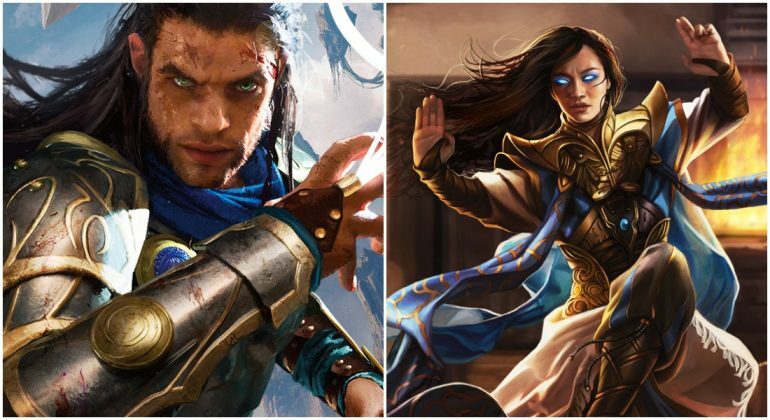 Gideon and Narset spoilers show how War of the Spark will alter Magic: The Gathering for quite some time. Will Gideon survive War of the Spark? Honestly, it doesn’t look like it. 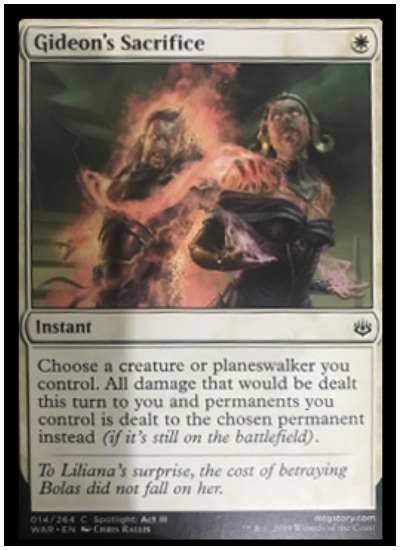 The artwork in Gideon’s Sacrifice shows him in flames behind Liliana. “To Liliana’s surprise, the cost of betraying Bolas did not fall on her,” reads the flavor text. It’s not a game-changing card, but Gideon’s Sacrifice does work as a nice combat trick when in a pinch. Board wipes that cause damage may be redirected, along with a final blow to your life. 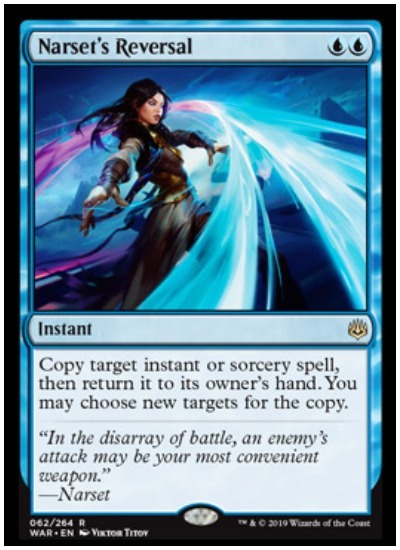 For two mana, Narset’s Reversal is a counterspell (without being called one) that bounces damage back to your opponent. It’s an excellent answer to Bane Fire, a spell which can’t be countered. She’s got great value for her mana cost, hence why Narset is a rare card. War of the Spark is set to release in MTG Arena on April 25. Pre-release for the expansion is April 27.